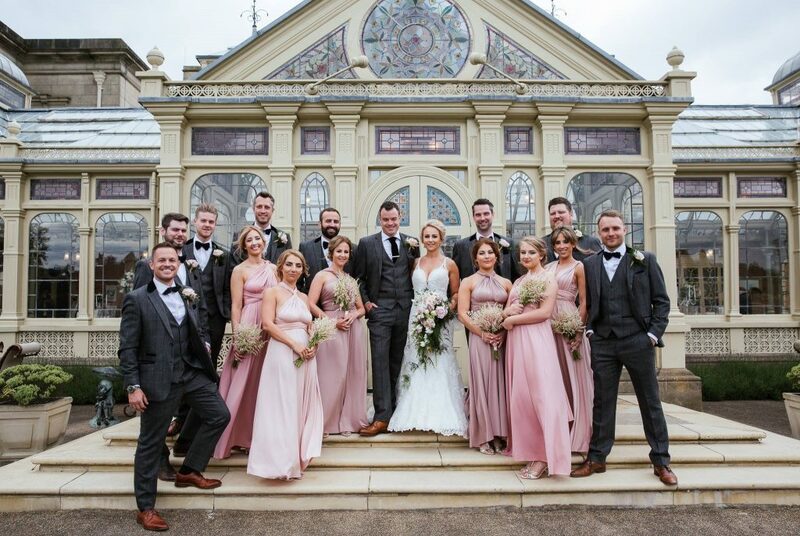 Kilworth House in Leicestershire is one of the most beautiful wedding venues I have visited, particularly the Orangery a stunning space I had the pleasure of working in for Sophie and John. 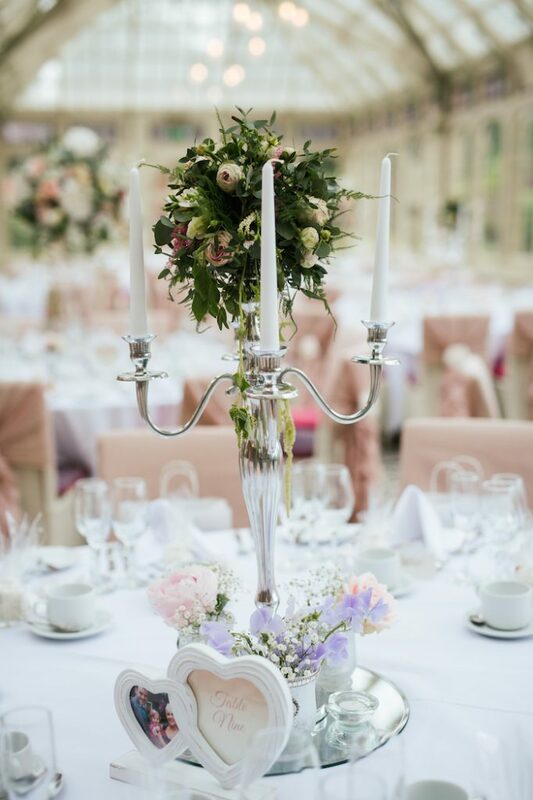 Sophie’s vision was stunning, every detail in fact across the whole wedding their flowers were to be romantic, elegant and filled with lots of scent and greenery which couldn’t have been more up my street! The morning started at Kilworth House before the bridal party left for St Andrews Church in Rugby. 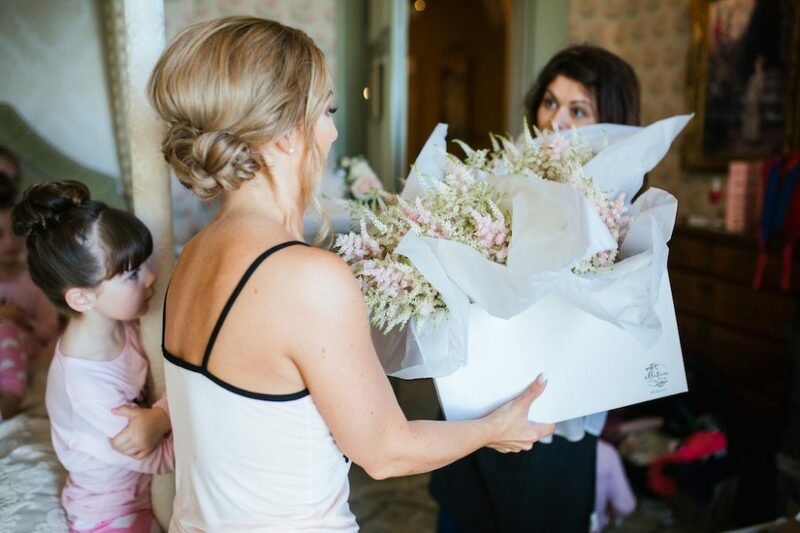 Delivering to the bridal suite is one of the most excited feelings capturing the excitement and emotion of the day is wonderful. 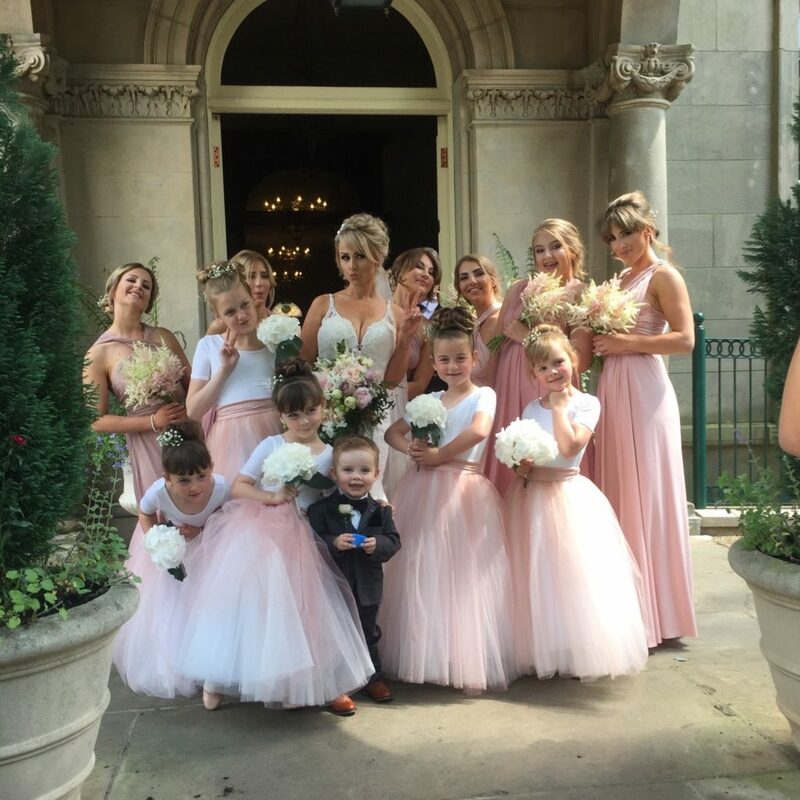 Sophie’s bridal party wore similar dresses in complimentary shades of blush, neutral and a dusky pink the little ones handmade dresses were adorable too! Not forgetting the little pageboy too. I caught a quick shot as I was filling the Orangery as they’d gathered at the hotel door before leaving for the church. We decided on a mix of heights for the Orangery as its a large space which adds interest, tall flower bombs filled with hydrangea, roses that complemented the shades of bridesmaid dress, stocks, eucalyptus and trailing amaranthus sat on our hireable vases on half of the dining tables whilst our hired candelabra with flower arrangements sat on the other. 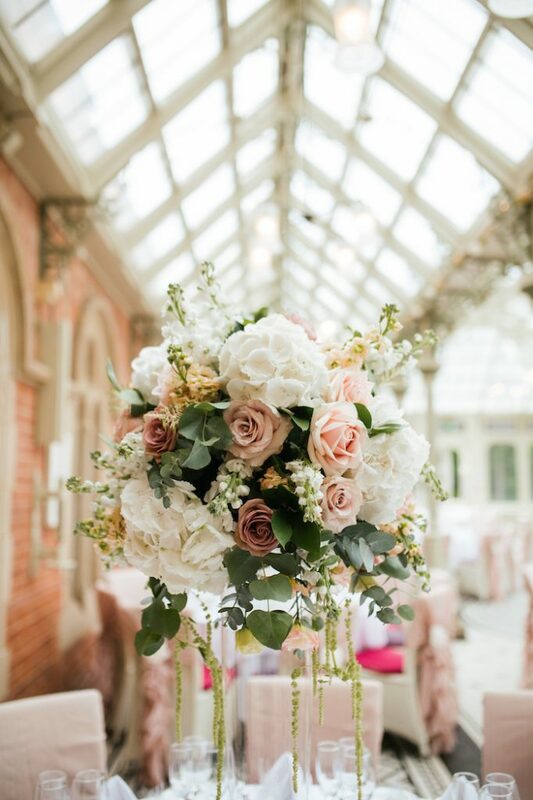 Simplicity at the foot of the arrangements of peonies, sweet peas and astilbe, which added a wonderful scent to the room. 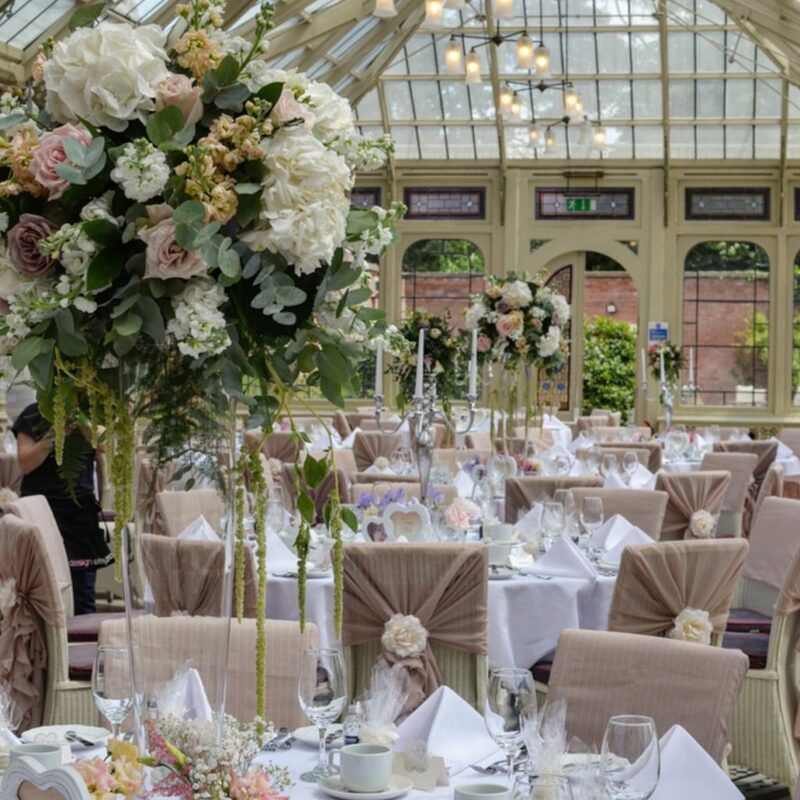 Vases were provided for the top table for the maids to place their bouquets in, it was I think the hottest day of the year so far that season so we provided water sprays as a good will gesture for the staff to spritz the flowers as the day unfolded. Collectively the day came together just as we’d both envisaged the group shot of the adults with their bouquets reminds me of a “Harpers Bazaar” magazine shoot expertly taken by Marie Wootten Photography. The simplicity of the flower choices gave the whole day the wow factor! 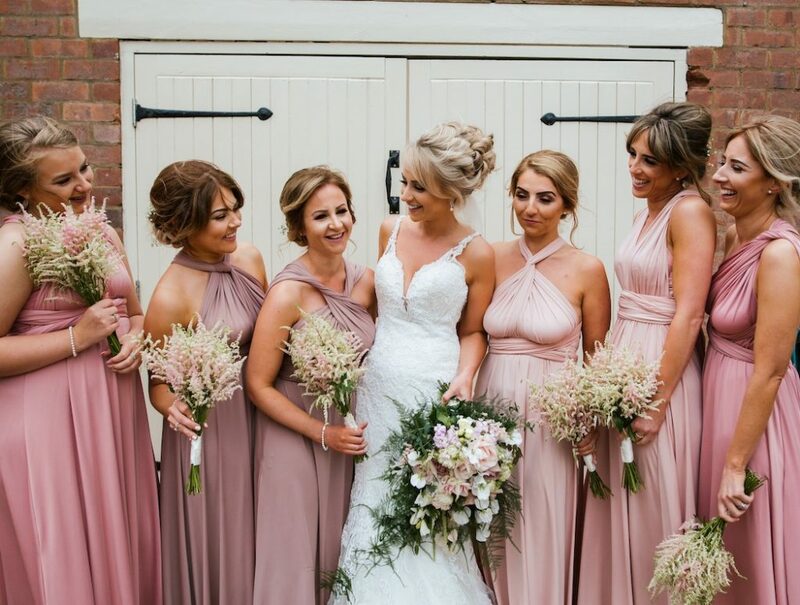 Sophie fell in love with the idea of a hand tied natural cascading bouquet filled with roses and foliage that I suggested and her maids to carry simply astilbe in the softest shades to complement each other and their gowns, the little ones carrying hydrangea. In such a stunning setting they all worked so well together, the whole process from out first meet up to installation on the day was one that I hold very fondly. Sophie’s kind complimentary words in a personalised card and bottle of fizz was so very kind and a firm reminder that I am so fortunate that I am able to fulfil a job I love.